Bangkok (Thailand) – February 4, 2019 (travelindex.com) – A sharp resurgence in Chinese visitor arrivals in December helped Thailand close 2018 with a total of 38.27 million arrivals, generating tourism expenditure of just over two trillion Baht. Book your hotel in Thailand and around the world in more than 88 countries at best rates available. Pay at the hotel and Earn HolidayClicks Points. 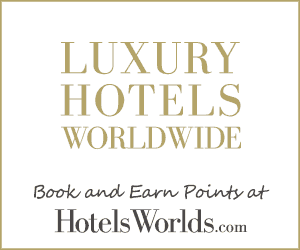 Book now at HotelWorlds.com! The final arrivals count released by the Ministry of Tourism and Sports showed that Chinese visitors jumped from 675,129 in November to 838,634 in December, closing the year with a total of 10,535,955, up 7.44% over 2017. Similarly, Chinese visitor expenditure also surged from 36.45 billion Baht in November to 44.42 billion Baht in December, ending the year with 580.69 billion Baht. In total, Thailand’s international visitors were up by 7.54% over 2017, and the estimated 2.007 trillion Baht in tourism revenue was up by 9.63%. For the first time, ten countries and one SAR territory (China, Malaysia, South Korea, Lao PDR., Japan, India, Russia, USA, Singapore, Vietnam and Hong Kong SAR) generated more than one million visitor arrivals. Overview: All regions grew well except the Middle East and Oceania. Visitors from East Asia totalled 26.06 million (+9.30%), Europe 6.76 million (+3.86%), the Americas 1.60 million (+3.82%), South Asia 1.98 million (+11.82%), Oceania 922,520 (-1.74%), the Middle East 739,494 (-6.39%), and Africa 201,519 (+7.63%). Announcing the results, the Minister of Tourism and Sports Mr. Weerasak Kowsurat noted that while these record-breaking figures were extremely good news, they had set the stage for Thailand to refocus its future tourism development strategy towards emerging destinations and niche markets with high spending potential. 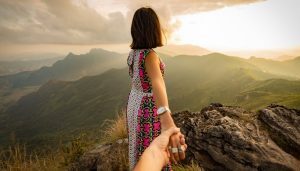 Now that travel and tourism is well established as a major contributor to the national economy, it is important to strengthen its foundations to make it “convenient, clean, safe, unique and sustainable”, reduce income disparity, upgrade safety and security, and enhance personnel development. For 2019, the Ministry of Tourism and Sports is forecasting 41.1 million foreign tourists (+ 7.5%) generating an estimated 2.21 trillion Baht in tourism revenue (+ 10%). This is based on a forecast of 11.69 million tourists from China (+11 %), 11.31 million tourists from the ASEAN countries (+ 10%), and 6.90 million visitors from Europe (+ 2%).